Apartment for sale in Marbella. Do you wish to live in a luxury apartment close to the Mediterranean sea with every possible luxury you can think of? Then we may just have the perfect property for you. This beautiful contemporary apartment on the exclusive Golden Mile of Marbella is almost detached as it only has neighbours on one side (and no upstairs neighbours at all). It offers a unique high beamed ceiling in the living room, three large bedrooms, three ensuite bathrooms and many more top quality features – all just minutes away from the beaches of Marbella and Puerto Banús. This property breaths exclusivity and warmth. Come see for yourself! The current owners have bought the apartment off plan. What appealed to them was the fact that it was almost detached (no upstairs neighbours) and that it was contemporary but with a nice and warm atmosphere due to the fact that the architect was inspired by South-Africa. 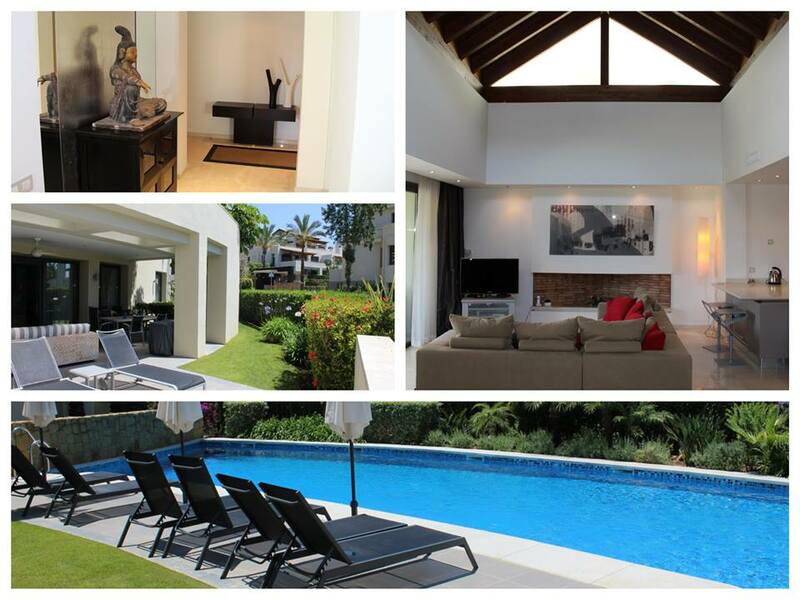 They now want to build their own house in Marbella, leaving you the opportunity to buy this wonderful property! The apartment is located on the Golden Mile, just a 5 minute drive from the centre and beaches of Marbella and Puerto Banús. The airport is a 40 minute drive away. Shops, golf courses, bars and restaurants are all very nearby and the communal swimming pool and sauna are even a few steps away. Just cross the field to get there – as is they were your private pool and sauna! Wish to know more? Click here for photos and more information. You can of course also call or e-mail us. The reference number of this property is MP1082.